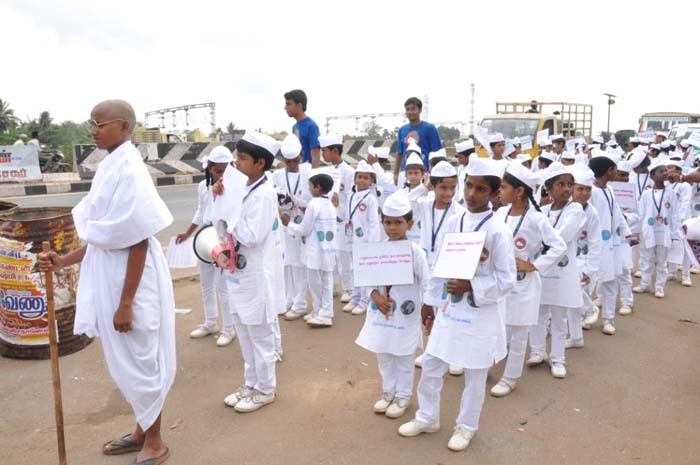 It was a delightful sight to watch 78 young nursery school children sporting Pyjama Kurta and wearing Gandhi Cap and raising Slogans on Plastic Awareness with another child dressed as Mahatma Gandhi leading theanti plastic usage march. 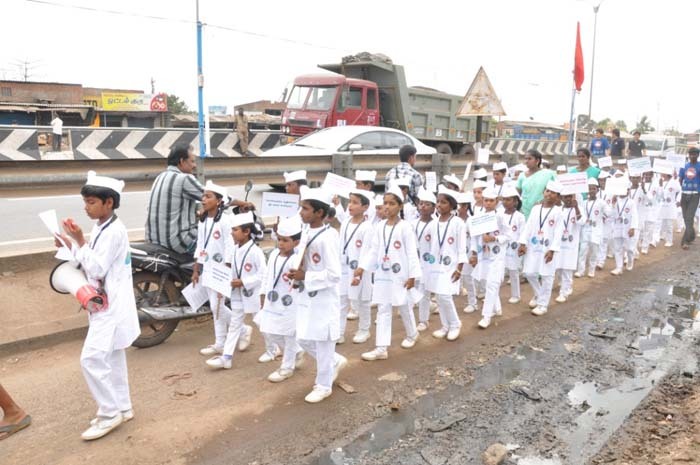 causes adverse effects on the lives of human beings and to safeguard the future generation from disaster, an awareness was created among young children and general public to spread the message of the evils of plastic recycling. 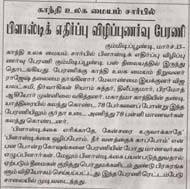 These Codes should be mandatorily affixed in Plastics but unfortunately they are not strictly followed in India. 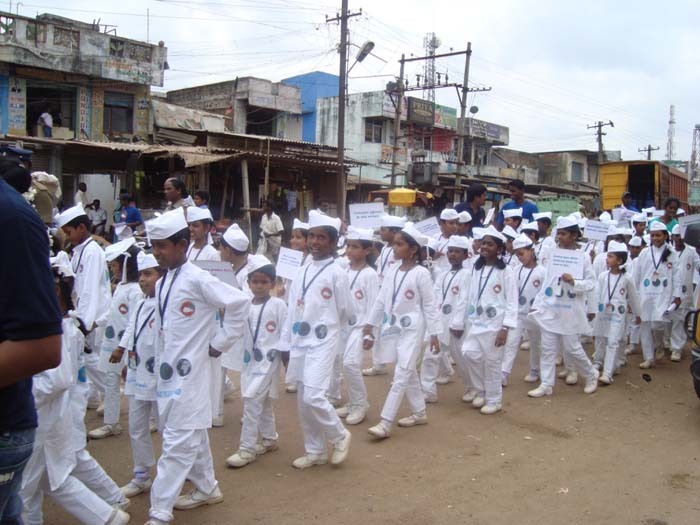 Code 1 and Code 2 are alone eligible for recycling of bottles. 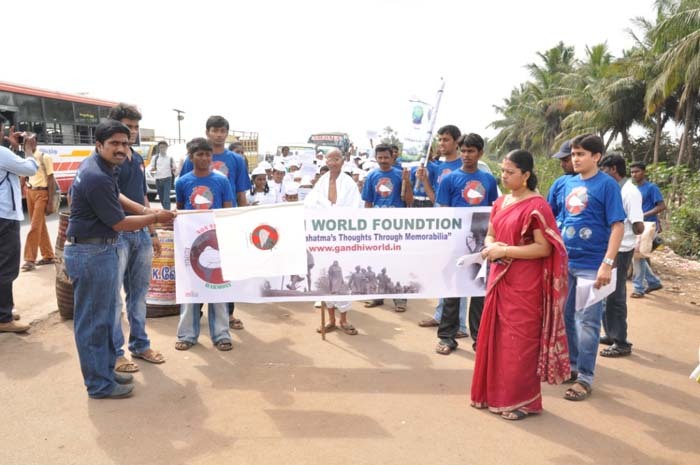 Many Countries have banned the usage of Recycling of Bottles with Code 7 Classification but no such laws have been enacted in India. 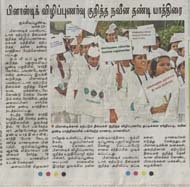 general public about International Plastic Codes. 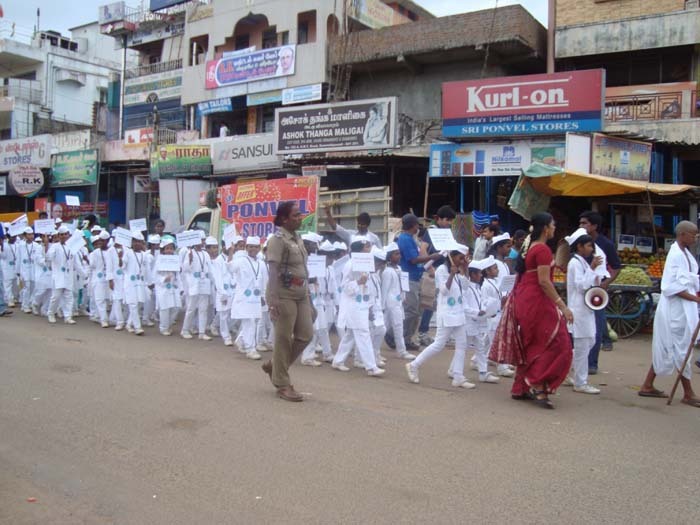 resolution for banning the usage of polythene bags and introducing cloth carry bags. 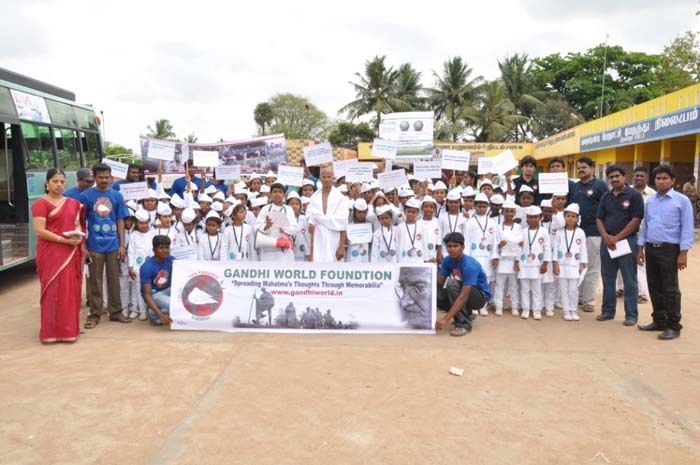 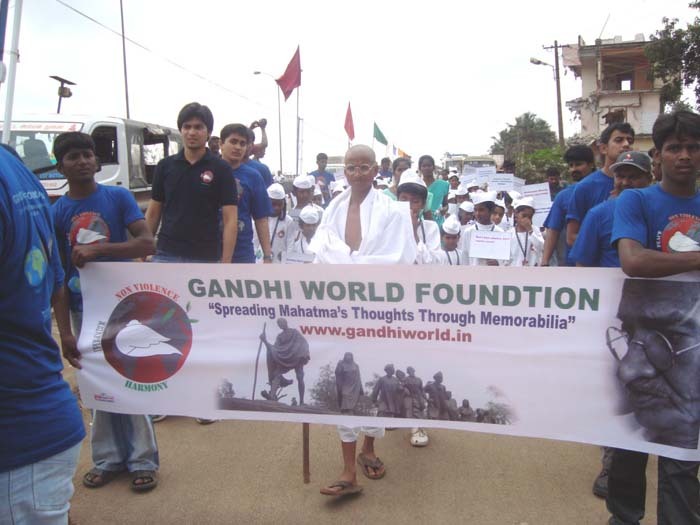 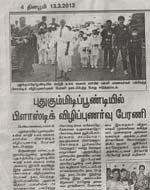 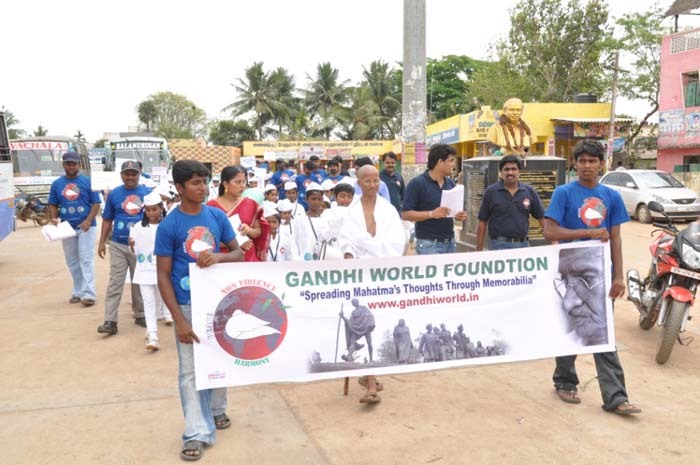 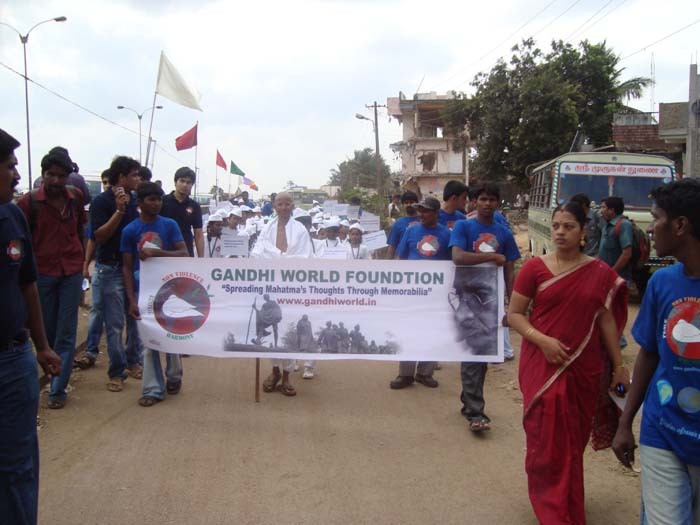 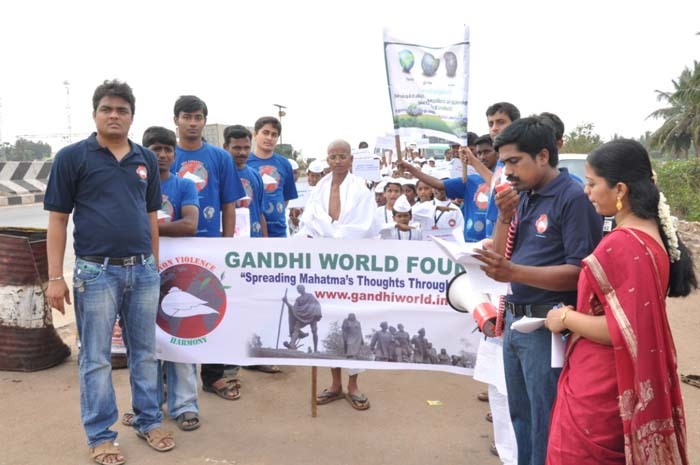 `Gandhi World Foundation’ intends to conclude the New Dandi March on Plastic awareness by conducting an awareness event in Chennai on April 5th 2012 on the same day when Mahatma Gandhiji concluded his Dandi march in 1930.